Governor Doug Ducey campaigned as "the education governor," but he's left our education system in crisis. Ducey cut education spending significantly during his first year in office [AZ Daily Star, 2/3/2018]. Low pay has created a teacher shortage crisis, with nearly 1,500 positions vacant as of September 2018 [9/3/2018]. Ducey says he wants to invest in education – but the laws he has supported and enacted have sucked scarce funding from high-need students and sent it to the state's richest school districts. 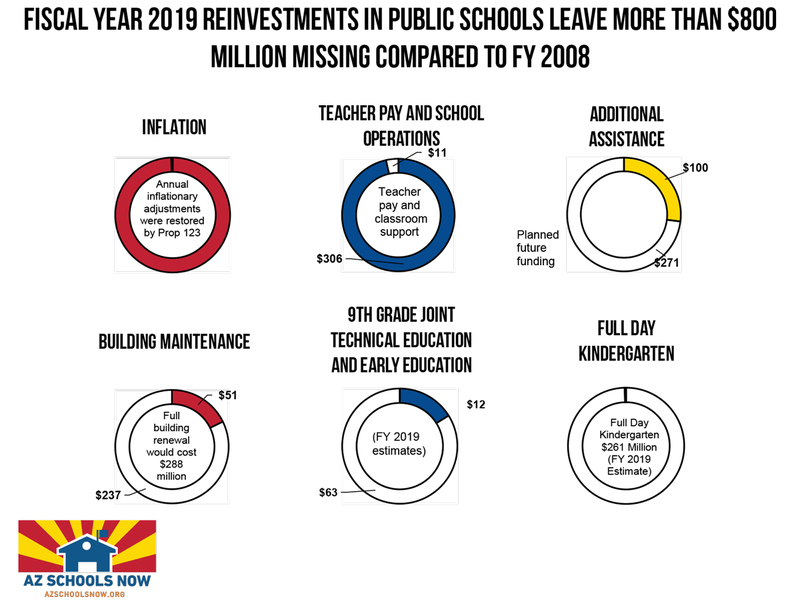 Ducey claims to be an advocate for schools in Arizona, but his massive expansion of the state’s voucher program has continued to funnel millions of taxpayer funds into already-wealthy schools. The program's lack of oversight has led to instances of fraud amounting to hundreds of thousands of dollars.